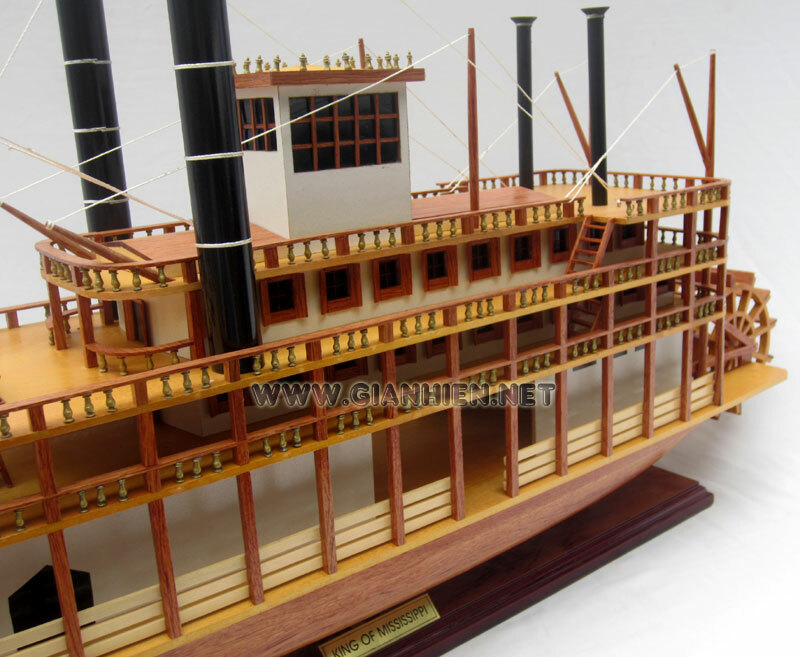 Model is scratch built with planks on frame construction and ready for display. 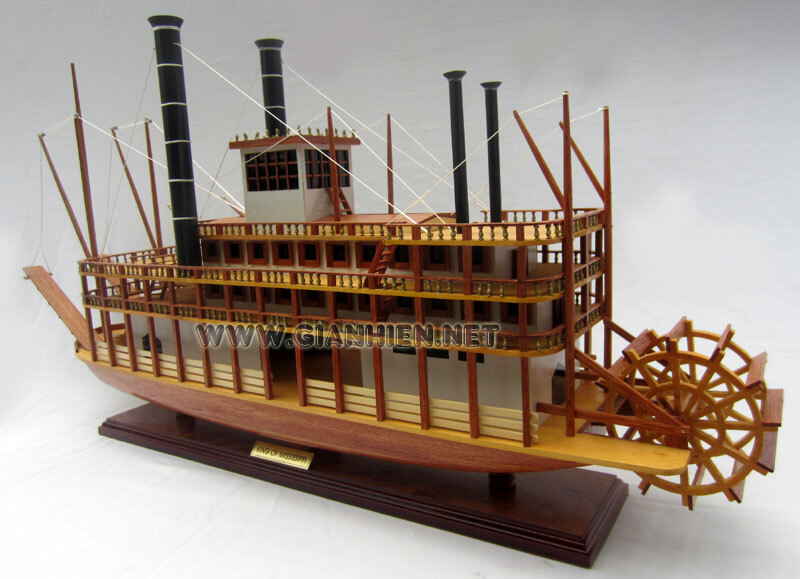 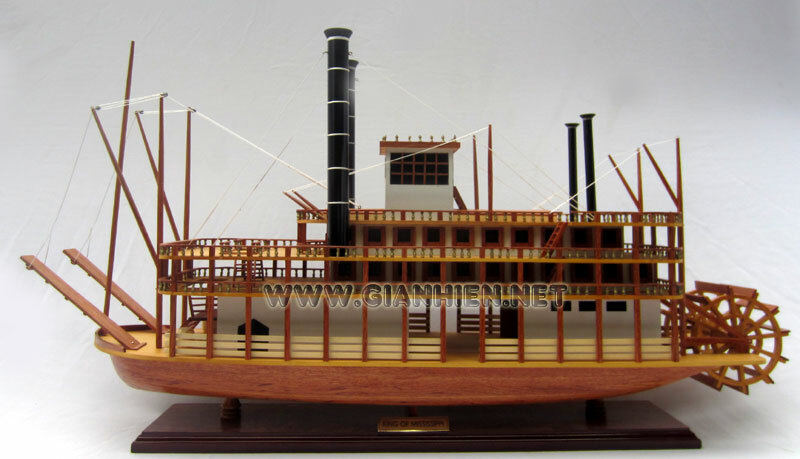 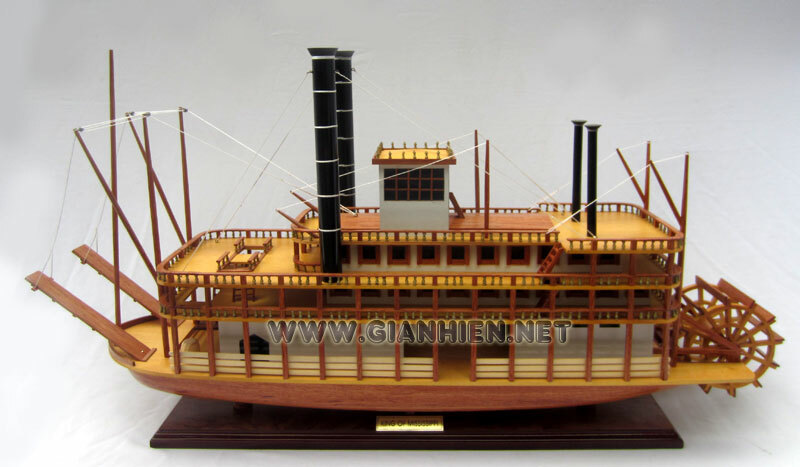 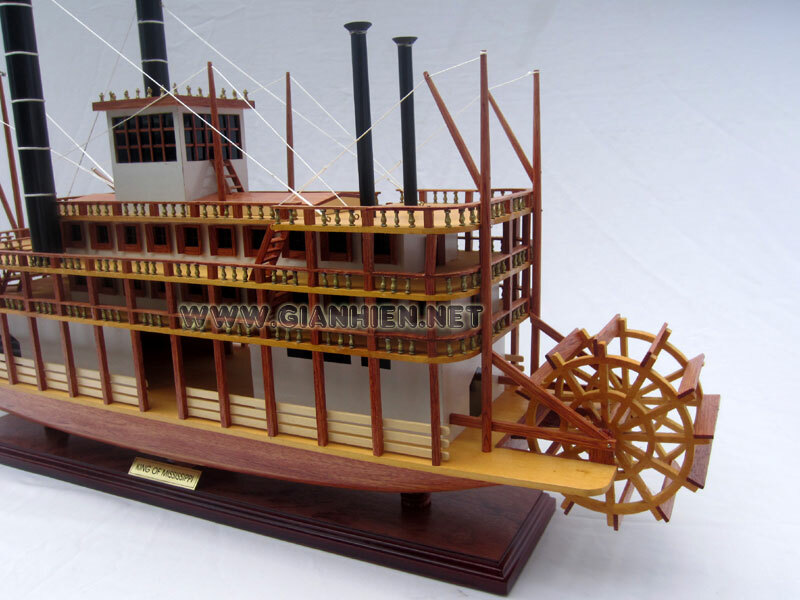 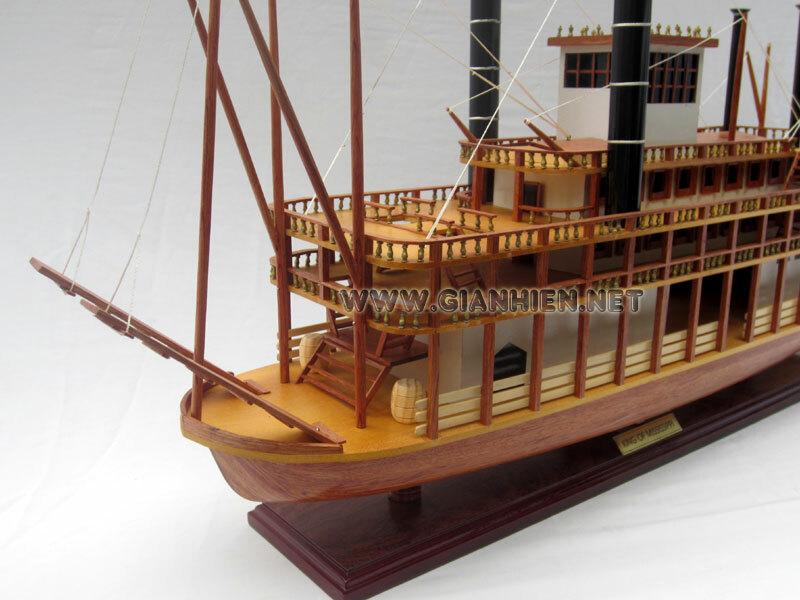 This authentic Mississippi Paddlewheel Steamboat reminds US Mark Twain's famous Tom Sawyer and Huckleberry Finn. 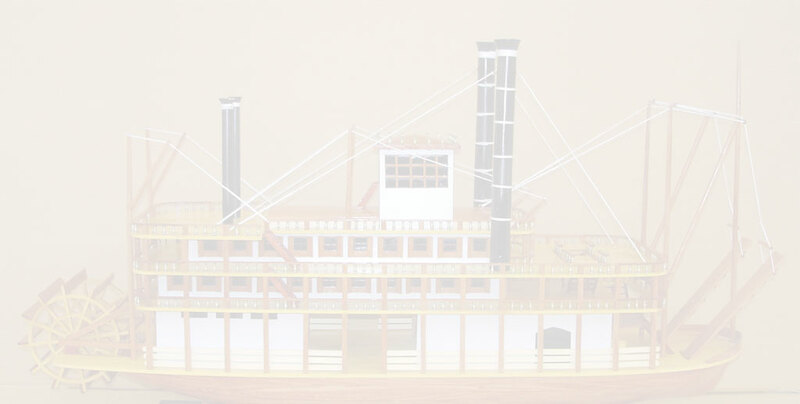 Mississippi riverboats were jacks-of-all-trades. 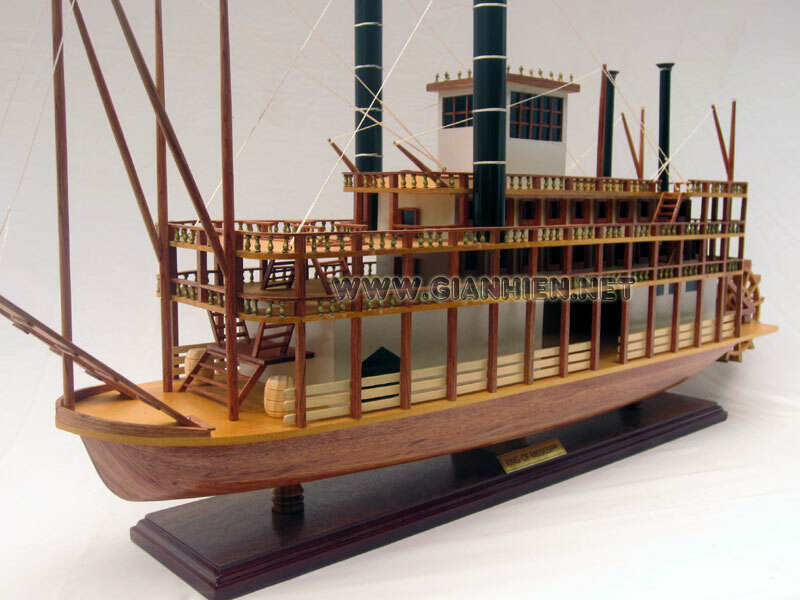 They carried cotton and inland trade, towed barges and ferried railroad trains across rivers. 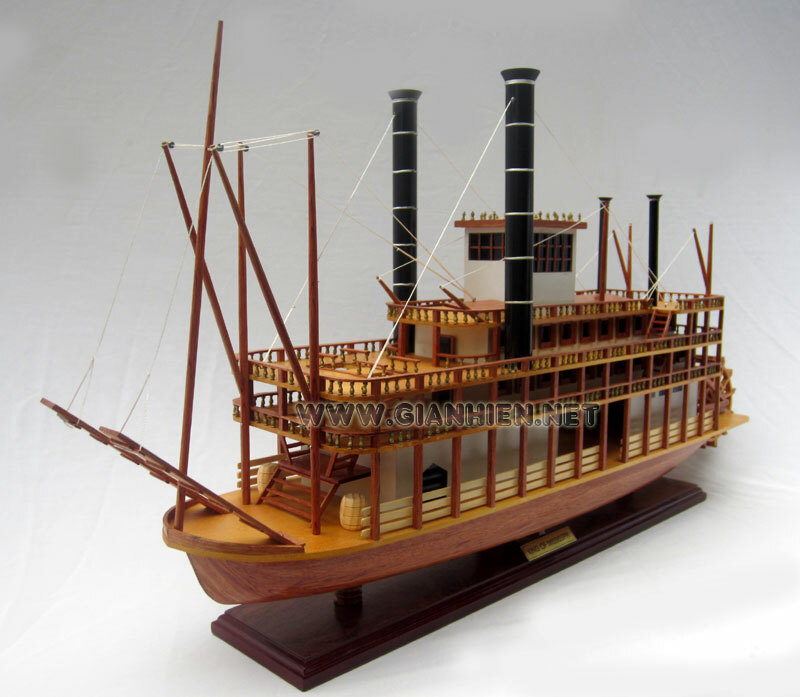 They helped to shrink the vastness of America and as showboats they made that vastness a little less looney.